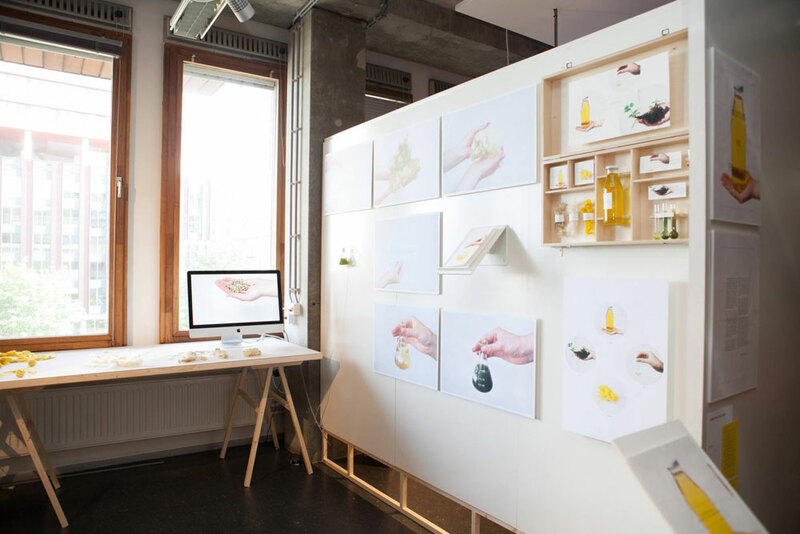 Approaching the human body as a source of materials. The textile industry transformed from a local industry in the 17th and 18th century into a huge industry, detached from the Western society, in the 19th and 20th century. The high demand for fabric and clothes caused an excessive growth in child labor, pollution and degradation of natural resources. The textile industry of the 21th century is expected to perform in new ways, by focusing on its impact on social, energy and resource cycles. The only way to keep the industry profitable for ourselves and our environment is to keep looking for alternative materials, resources and techniques. The contemporary wool industry causes much pollution. 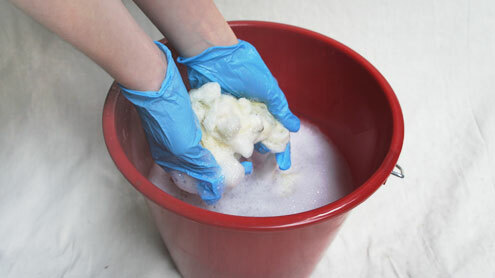 Harmful detergents and non-biodegradable solvents used during wool scouring and dyeing processes lead to soil and water pollution. 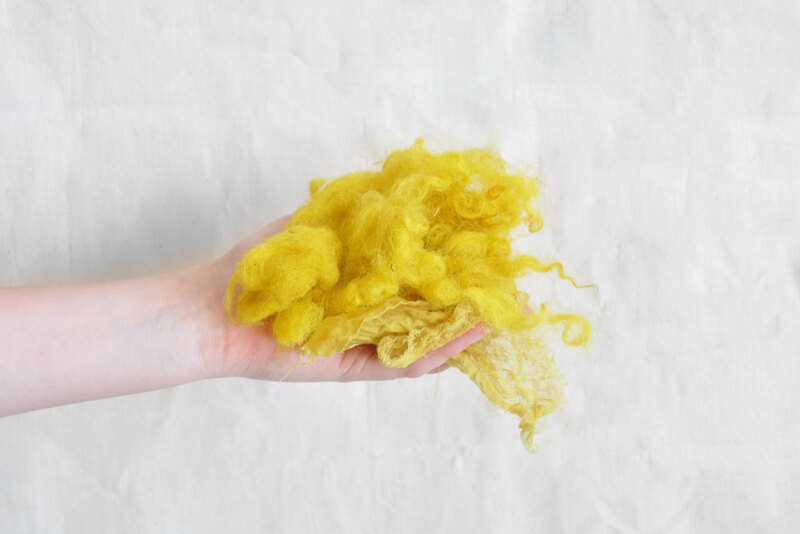 The project Human as Resource aims to find alternative materials and resources for the processes of wool scouring and dyeing. It introduces the human body as a source of materials by investigating the possibility of using human materials (materials that the body produces) for production processes. 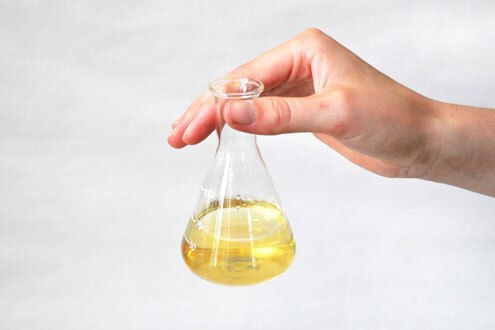 The main focus is on 'menschenwater', also known as urine. 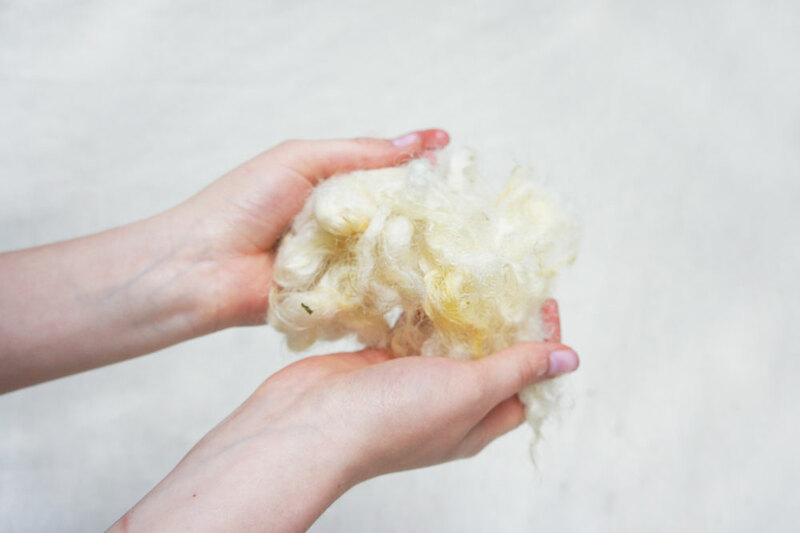 In the 17th and 18th century, this human material was already valued for its cleansing power by the wool industry. 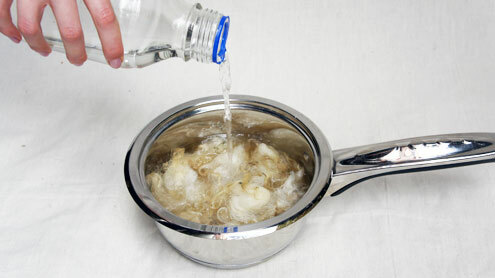 Human urine was used for its bleaching and degreasing effect to wash wool. 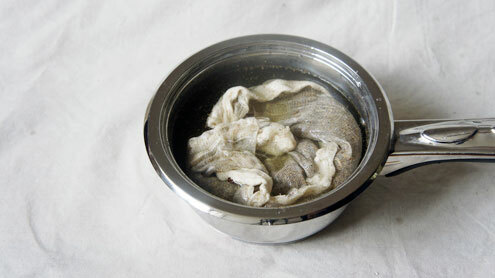 Leaves from weld, a plant that produces a bright yellow color, were soaked in urine before a dyeing process. 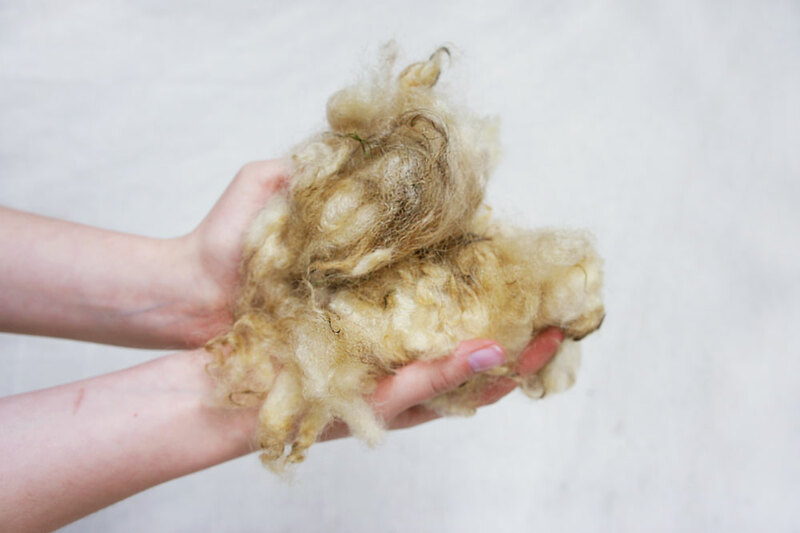 By placing these ancient techniques in the context of our current production system, Human as Resource explores whether these techniques and recipes can be valuable for the wool industry once again. Material experiments not only show that the ammonia in stale urine has a degreasing and bleaching effect on wool, but also that it can be seen as an effective fertilizer for farmlands and gardens. This proves that urine can be considered as an alternative material for the wool industry while supporting soil and farmlands when discharged. But Human as Resource goes beyond offering alternative materials. It generates a radical shift in our view on the human body. 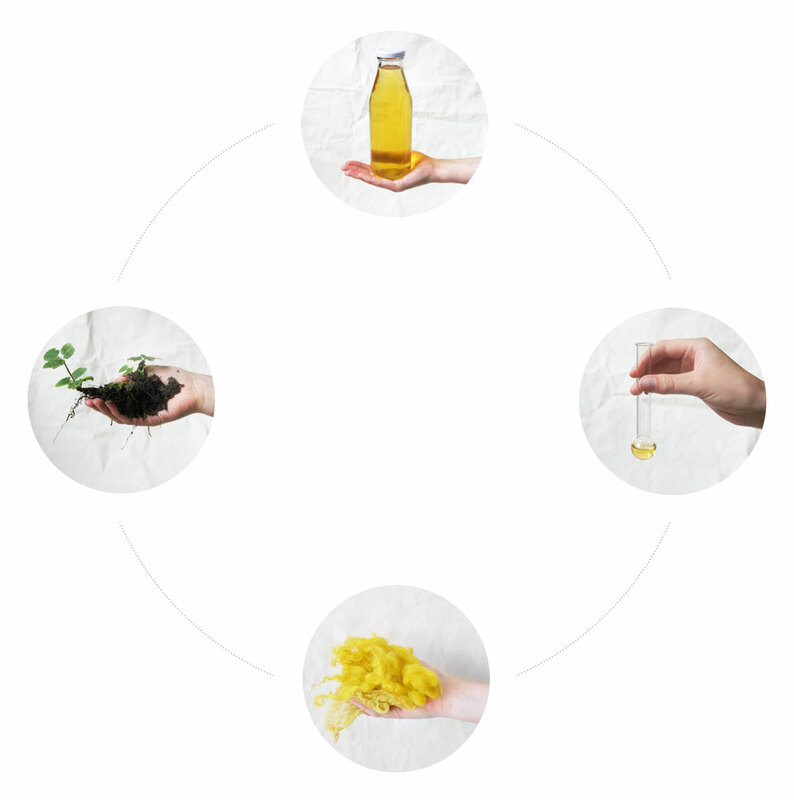 Collecting your body waste and treating it as valuable materials might not seem to be the most ordinary thing to do. But Human as Resource proves that once the idea of harvesting human materials is normalized, it will lead to a belief that the body is a source of valuable materials instead of a source of waste. Instead of flushing down your urine, throwing away your hair and cutting off your nails, you can harvest these materials and use them for a greater good. Replicating and innovating the recipes and techniques from the 17th and 18th century. 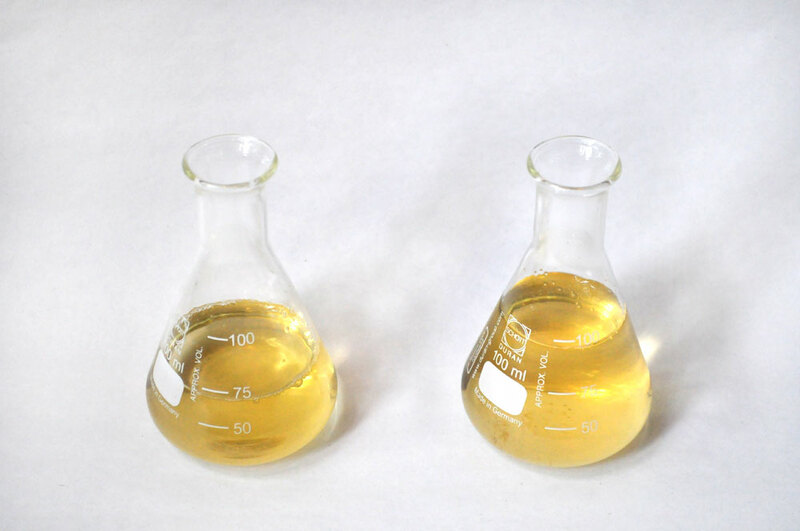 Once the urine has been used for the scouring and dyeing processes, it can filtered and used as fertilizer. This completes the corcular production cycle. 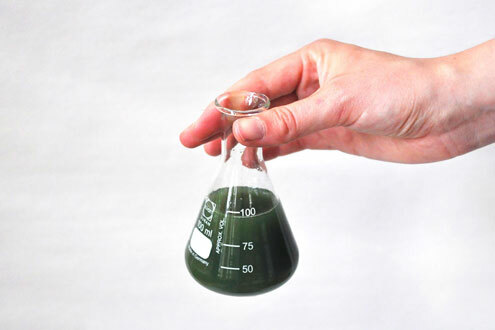 Experiments in the Open Wetlab show that urine is a perfect fertilizer for algae. 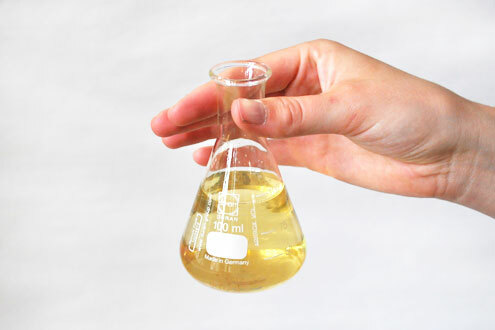 Different kinds of urine are used, to see how this affect the growth of algea. 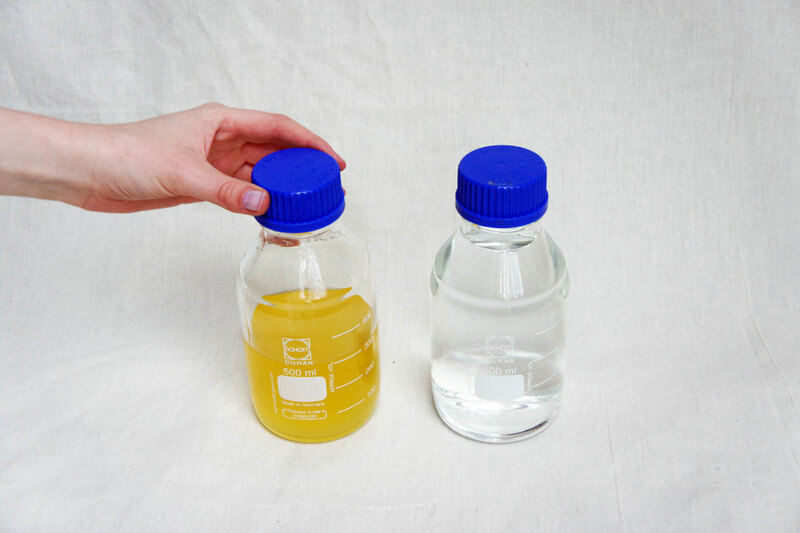 Urine extracted from a body that is believed to be healthy worked perfect for the algea. After a couple of days, the algea reproduced themselves in large quanities. 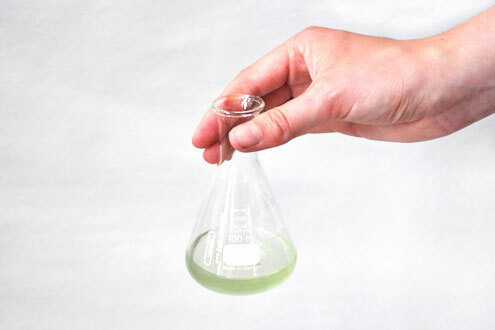 Urine extracted from a body that is believed to be less healthier, didn't work out well, as the algae mixture was evaporated after a couple of days. Click here to see my full research. 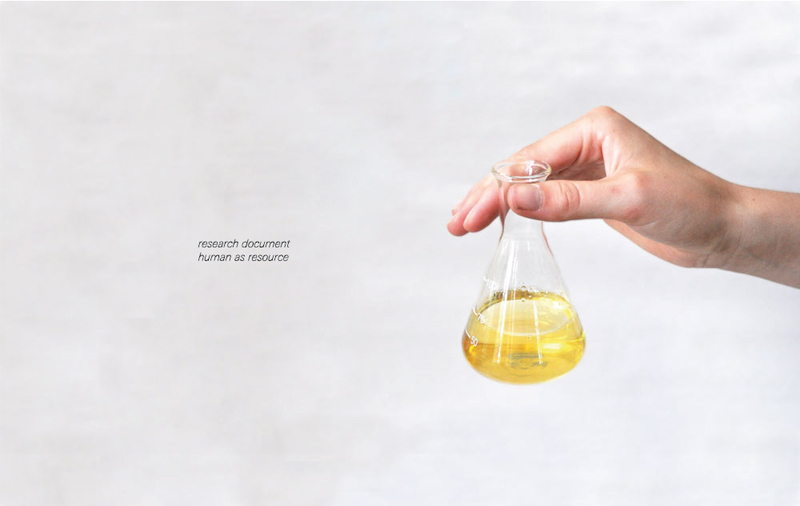 Human as Resource was featured on the graduation exhibition and nominated for the Research Prize and the Drempelprijs Autonomous Practice.